The Little Black Dress committee is excited to announce that several vintage little black dresses will be on display from the Stephen’s College Costume Museum and Research Library at the 2014 Little Black Dress event. Below is a sample of vintage black dresses in the Stephen’s College collection – fashion and history at it’s finest! Make sure you get your 2014 Little Black Dress tickets today and look for the dress display at this year’s event. 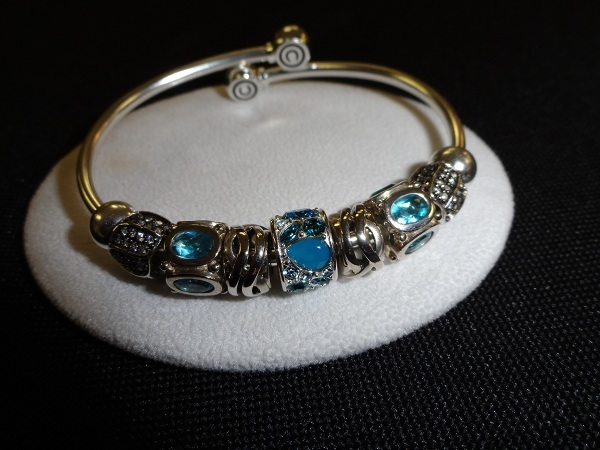 This beautiful Chamilia Sterling Silver flex bangle will be featured as a raffle item at the 2013 Little Black Dress event! This gorgeous piece was donated by L.C. Betz Jewelers and Kathi Betz! Do you have your tickets yet? If not, purchase online today! Please see our sponsors page for a list of all the 2012 Little Black Dress sponsors. Also, we are excited to announce that this year’s entertainment will be provided by Davis Entertainment Network! Click below to receive Little Black Dress updates via email.